With rumors swirling about an Apple investment in LG Displays to crank out OLED screens, an analyst report suggests that the iPhone maker is seeking to make LG a secondary supplier of iPhone screens in 2019 and 2020 to cut back on the need for Samsung screens. A new report from KGI securities seen by AppleInsider believes that Apple's biggest supply chain bottleneck in the future will be Samsung's OLED technology. KGI's Ming-Chi Kuo believes that LG will to supply between 10 percent and 20 percent of the iPhone's OLED supply by 2019, and 20 percent to 30 percent by 2020. LG Display already has deep integration with Apple manufacturing partner Foxconn. 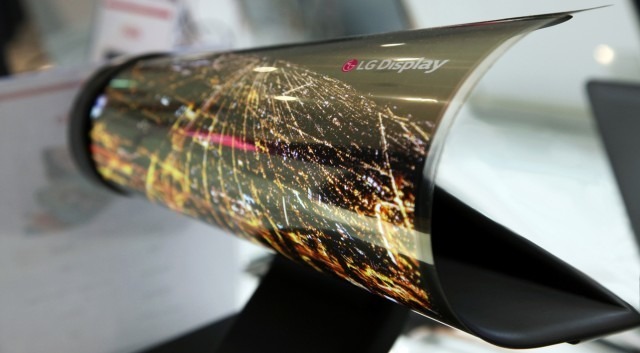 Kuo also predicts that LG will team up with thin-film lamination specialists General Interface Solution to advance lamination of the OLED screen for touch technologies, and other integration of assorted technologies within the screen in the future. Earlier in July, Apple was reportedly in talks with LG Displayto invest about 2 trillion to 3 trillion won ($1.75 billion to $2.62 billion) in a new facility to exclusively focus on OLED screens for Apple. Apple and LG have reportedly come to a tentative agreement on the plan, with timing and specific investment amount not yet finalized. The report from early July is not the first time that LG has been pinned as a future OLED screen manufacturer for Apple. In December 2016, Korean media claimed that LG Display had picked up Apple, Google, and Microsoft as some of the first customers for foldable OLED displays it plans to put into mass production in 2018 —which matches the timetable of Kuo's latest report. A few months later in April, a similar report noted that Apple was pushing LG to enter the smartphone OLED screen business. At the time, the company was expected to make a decision by the end of June if they would delve into the market. The "iPhone 8," is expected to sport an OLED display. The premium-priced 10th anniversary model is expected to feature a number of new technologies, with this year's so-called "iPhone 7s" and "iPhone 7s Plus" rumored to stick with the same LCD displays found in previous models.